With chess being introduced at kindergarten level in many schools (both public and private), more kids are playing chess, and starting at a younger age, but can it improve academic performance? The evidence suggests that it can. a) It develops a player’s ability to think analytically and strategically and to problem solve. Before moving a piece, a player must assess his position on the board in relation to his opponent’s and plan accordingly. 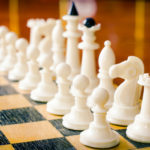 Tests on the brains of grandmaster chess players found that they did indeed have more activity in their frontal and parietal cortices, areas of the brain that deal with problem-solving. b) It improves academic performance in math. A study conducted in the early 1990s in New Brunswick, Canada, took a sample group of just over 400 fifth graders and divided them into three groups. They experimented by introducing chess instruction to the math curriculum and found that the students’ math problem solving and comprehension scores improved in proportion to the amount of chess in the curriculum. c) It improves concentration and focus. A game of chess lasts at least half an hour, even at beginner level – and could take many hours as the ability level improves. This will be a time when all the players think about is the game – the pieces on the board and their opponent. Losing concentration during a game could mean losing a piece. Players get so involved in the game that they block out other distractions and sit in a calm state (very close to a meditative state according to some practitioners of mindfulness). Doing this on a regular basis can greatly improve attention span and focus when doing school work and also encourages mindfulness and a calmer outlook when kids encounter stressful situations in other areas of their lives. d) It improves memory. When kids learn chess, they are taught the moves that each piece makes but also different sequences and patterns, which they have to remember. This benefits the memory and helps kids in other areas of learning too. e) It has social benefits. 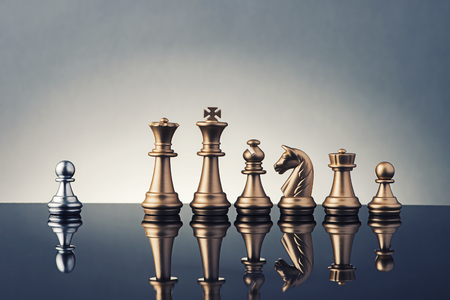 Playing chess as part of a club or at tournament level can really boost a child’s self esteem. But kids don’t even have to be playing at competition level to reap the benefits of the game. They are interacting with other kids and enjoying a game that doesn’t have to be played on a device or screen. They learn good sportsmanship – how to win considerately (not to show off and make the opponent feel bad) and lose gracefully (to take it in your stride and not get upset). Playing chess brings kids into contact with other kids and inevitably allows players to forge new friendships. If they play at school or as part of a club, it brings them into contact with kids from different classes and years – often older, more experienced kids will help and teach the younger, less experienced ones. At a time when parents constantly struggle with their children over screen time, video game addiction and short attention spans, chess offers an appealing alternative. It’s low cost and enjoyed by boys and girls. It’s the ultimate mind sport, and in the words of the US Chess Federation: “Chess Makes Kids Smart”. Time to sign up for some chess lessons! Click here for upcoming chess camps, classes & tournaments.